Perseverance is a common theme for the BYU football program. Taysom Hill may be the most obvious examples, but stories of extraordinary effort are present all over the Cougar roster. 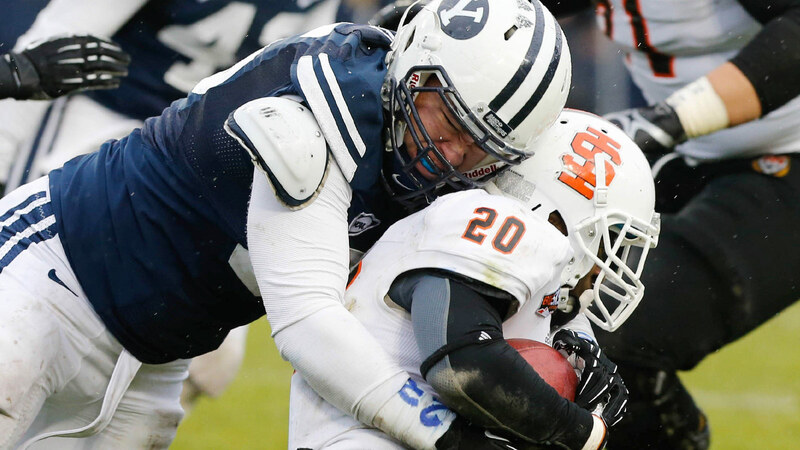 Just ask Logan Taele, who is replacing BYU's best run stuffer. It's a new position for Taele, this nose tackle business. He's a bit undersize at 293 pounds, but he's held up very well. “Logan has done a nice job taking (Tuiloma's) place,” said defensive line coach Steve Kaufusi. The most interesting part — Taele was cut from BYU back in 2012, when he tried out as a linebacker. Get the full story from the Deseret Morning News.